Some people think of GPS trackers as either something that helps their sat nav systems work, or as clever little devices you see in spy films. However, they can actually have a more everyday, practical use  such as protecting your vehicle or perhaps another valuable new asset. You can use them to check up on your car when you need to be away from it for any length of time, whether overnight, away for a weekend or even on holiday for a few weeks. 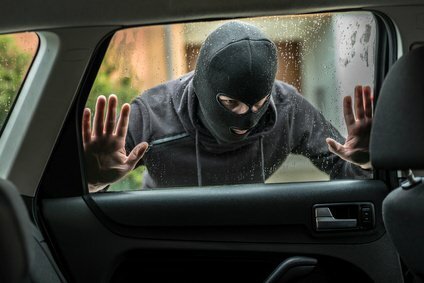 If someone should try to steal your car, youll know about it right away, perhaps even in time to stop the theft from happening. A brand new car is a huge purchase, and you will naturally want to do all you can to protect your investment. Just in the same way that you park your new car super carefully and glare suspiciously at anyone coming anywhere near it lest the bodywork be scratched, a GPS tracker is yet another form of protection you can use. New car owners are familiar with that nagging feeling of worry when they are away from their vehicle for any length of time, or have to leave it in an unfamiliar parking spot. 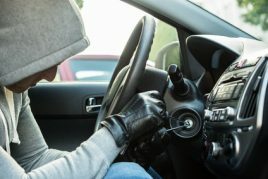 You sometimes cant sleep for imagining would-be car thieves approaching your car, and worry could even interfere with your work or an important meeting. It sounds silly, but if youve spent a lot of money on your new car (or you are a serious vehicle enthusiast) its only natural to worry about your car when its not safely within your sight. What GPS trackers offer above all else is peace of mind. Once a device is fitted onto your car, you can simply log into the tracking interface on your smartphone, tablet or laptop and double check that all is well. Some devices allow you to simply send a text, and receive one back a minute or two later with the exact location of the car. Simply knowing you can do this can help you to breathe a big sigh of relief and get on with your day. What happens if someone tries to steal your car? 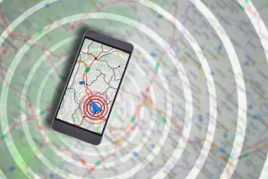 A GPS tracker cant physically stop someone from attempting to steal your car  a good alarm system can be a big help with that. However, what it can do is ensure that the criminal doesnt get very far at all if they do make the dumb decision to target your vehicle. Certain trackers can be programmed so that they send you an alert the instant your vehicle moves. This means that you receive a notification and can instantly log into your tracking portal to see whats going on. You can inform the police within seconds of the car being stolen and provide officers with the exact location of your vehicle at any given time. GPS trackers send information in real time, so they are accurate to a few seconds. Due to your lightning-fast response, there is a very good chance that the criminal will be apprehended very quickly and your car recovered before it can be damaged, dumped or sold. If the criminal does manage to escape the police, it wont be for long. If the car is hidden out of sight, or so the thief believes, the GPS tracker will still be omitting a signal enabling it to be located and the criminal caught red-handed along with his or her associates. These trackers enable you to access information on the location of your vehicle in real-time, from wherever you are in the world. All you need is the software or app on your phone or laptop and an internet connection. These devices are more expensive, but they are also the most sophisticated, accurate and have a wide range of features. For example, you can set them to start tracking only when movement is detected, define particular areas (notifying you if the tracker moves out of the pre-defined area), remotely switch the tracker off to preserve battery life and report in at scheduled intervals. SMS trackers are cheaper than real-time trackers, but they have limited functionality. If you simply want to be able to check in on your vehicles location from time to time, they could be a good solution. You simply send a text request for the cars location, and receive a text back with the exact address. Its a simple system, but very effective. Some trackers can be placed discreetly on the inside of the vehicle, such as in the boot or under a seat. They are cleverly disguised as an innocuous-looking item you may expect to find in a car, such as a torch, and so go unsuspected. Some trackers have additional features, such as allowing you to send a request for a report on the current battery life or when the tracker is removed from the vehicle, or even recording conversations from inside the vehicle (if the tracker is placed on the inside) from an in-built listening device.